I am reading the third book in the Heroes of Olympus series, The Mark of Athena. 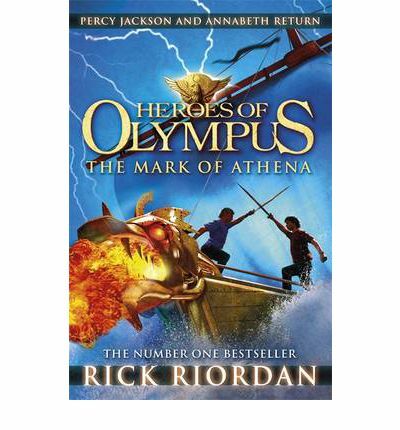 This is the second Greek demigod series by Rick Riordan. The first series started with Percy Jackson & The Lightning Thief, the book that was made into a movie. It focused on Greek mythology but this new series is about Greek and Roman mythology and that dichotomy is fun. I love going along on these quests. This one is really interested because instead of 3 people on the quest there are 7. Very cool dynamic, but there's a 7th wheel instead of a 3rd wheel. Don't you love a cover with a nice fire-breathing dragon? My daughter is reading a Care Bears book. I am not a fan. First of all it is tiny and a hardback so it's hard for her to open it and she's gotten two little paper cuts. Then, there's no story, it's just a collection of sayings. I need to replace it with a book that has a plot and isn't dangerous to her digits. We're reading "Henry and Ribsy" by Beverly Cleary! 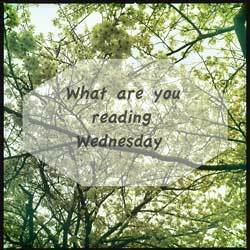 I just finished The Wise Woman by Philippa Gregory and I have to say that I didn't like it at all. There really wasn't one person to root for in the entire novel! There was only one person who seemed decent, and they only came in at the end. Usually I enjoy Gregory's work, but this one was odd. I finished it on Wednesday...haven't started anything else yet.